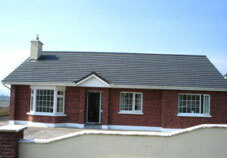 Email: holcotts@iol.ie The spacious living room features open fireplace and multi-channel television. French doors lead to the dining area. Sorry no pets allowed. The fully-fitted kitchen features an oven/hob, microwave, dishwasher, fridge and all necessary kitchen utensils and crockery. Additional facilities include washer/dryer, hairdryers, bed linen, Gold Shield Electric Storage Heaters and car parking. Cottages are located next door to the new Leisure Centre. 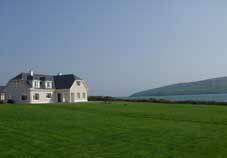 Ballyferriter Situated 5 minutes walk from Ballyferriter village, this three bedroomed bungalow offers spectacular views of the Three Sisters Mountains, Smerwick Harbour, Ballydavid village and Cnoc Mharthainn. Béal Bán, Wine Strand, Cloghar and Comíneol Beaches are on the Slea Head Drive, all within a ten minute drive. The 18 hole links, par 72 Golf Club is within 10 minutes walk. Golf clubs are available at the Club House. 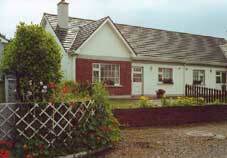 The bungalow itself boasts a large garden to the front of the premises and a smaller more secluded one to the rear. A spacious driveway provides ample parking facilities. 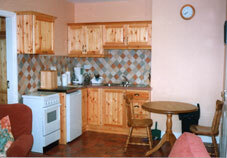 Inside, the kitchen is fitted with all modern conveniences, including dishwasher and microwave etc. The bungalow has a separate dining room and sitting room. It has oil-fired central heating and a hearth fire in the sitting room. The bedrooms are spacious and airy. Available all year round. Holiday lettings only. Telephone for Rates and Availability. Each apartment has been Bord Failte 4 Star Approved and furnished to ensure your stay is both comfortable and enjoyable. 3 one-bedroom apartments: 1 Ground floor apartment with 1 Double and 1 Single bed, also guest bed. En suite bathroom, large kitchen, dining and lounge area. 2 apartments on 1st floor, each apartment has 1 bedroom, en suite bathroom, large kitchen dining and lounge area. Sorry - no pets allowed. Private Sauna/Hot Tub/Steam Room for guests. 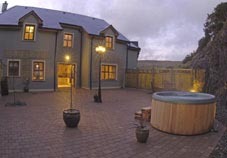 Dingle, Gortonora Holiday Cottages is a new luxury 4 star self-catering village located overlooking the spectacular coastal town of Dingle These luxury 3 bedroom houses with a maximum occupancy of up to 6 people. 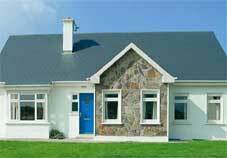 All properties are Failte Ireland luxury 4 star Approved. 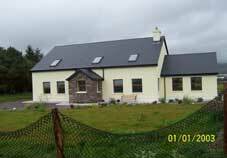 Email: peignascribe@eircom.net Newly built house located in the heart of the West Kerry - Irish speaking area. 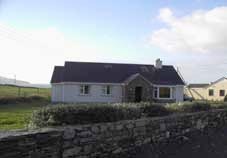 The property has magnificent views of The Blasket Islands and Mount Brandon as well as the surrounding coastline and countryside. Close to beaches and pubs.Close to shops. 5 Bedrooms (3 en-suite). 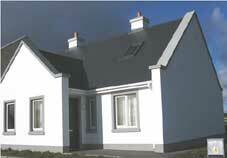 If you want to be totally independent on your holiday, stay in our self catering holiday cottage. It's a dormer style semi-attached home. 2 en-suite bedrooms and 2 ground flor bedrooms. Garden front and rear with garden furniture. Private parking place in front of the house. Spacious detached 4 bedroom bungalow with 2 ensuite. 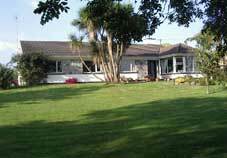 Furnished and equipped to a very high standard with a large garden in a peaceful location. 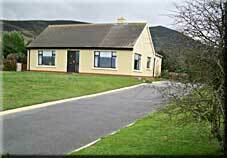 Has panoramic views of McGillycuddy Reeks. Walking distance to shops, pubs and restaurants. 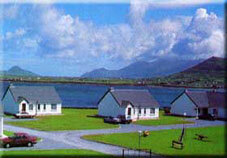 Local amenities; beaches, golf, fishing, horse riding, mountain climbing and outdoor eductation centre. 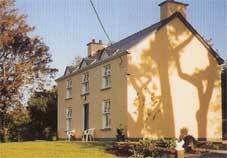 Ideal base for touring Ring of Kerry, Killarney, Dingle, Tralee and Beara Peninsula.